The Season 4 World Poker Tour Player of the Year is widely considered one of the best poker players to have never won a World Series of Poker tournament – along with players like Andy Bloch and Gus Hansen—which is of course a dubious distinction that nobody really wants attached to their name. 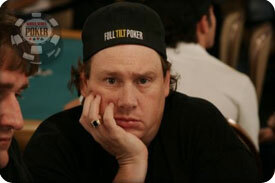 Gavin Smith could follow in Mike “The Grinder” Mizrachi’s footsteps – Mizrachi was on that short-list of players until he won his first bracelet earlier this year – and cross his name off the list if he can seal the deal later today when he returns to the Rio poker tables for the final table of the $2,500 Mixed Holdem tournament. Gavin will start the day with 745k chips, just 3k less than chip-leader Jarred Solomon, and is by far the most experienced player at the final table of the poker tournament. You can also be certain that there will be a number of big name pros watching from the sidelines, not only because Smith is well-liked in the poker world, but more so because he is one of the most prolific prop bettors and likely will have tons of side action on anything from him winning, to the number of blue shirts his competitors might be wearing. This entry was posted on Tuesday, June 29th, 2010 at 8:37 pm and is filed under Poker News. You can follow any responses to this entry through the RSS 2.0 feed. You can leave a response, or trackback from your own site.